I spent most of week 4 traveling for our extended Easter Break. 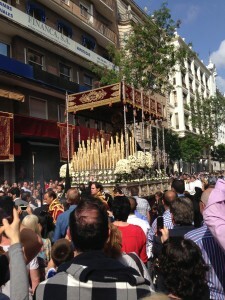 Semana Santa is what the Spanish call Easter Break and most students get a week off from school. Many shops and stores shut down during Semana Santa because it is such an important holiday. 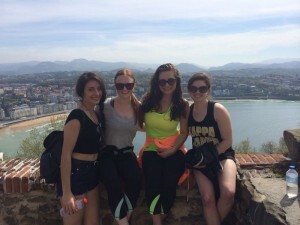 After spending the first few days of Semana Santa in San Sebastian, I then traveled to Sevilla and Granada with a few of my friends. 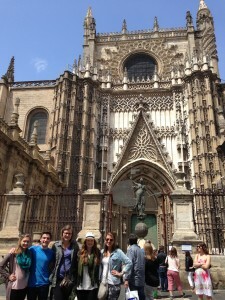 A group of 4 of us flew from Bilbao to Madrid en route to Sevilla. We ended up having an 8 hour overnight layover in Madrid which meant sleeping in the airport Starbucks. I was pleasantly surprised that sleeping in the airport was fairly comfortable (I remembered to bring earplugs). After spending the night in the airport we flew to Sevilla, where we locked up our belongings in a train station locker and went to explore. 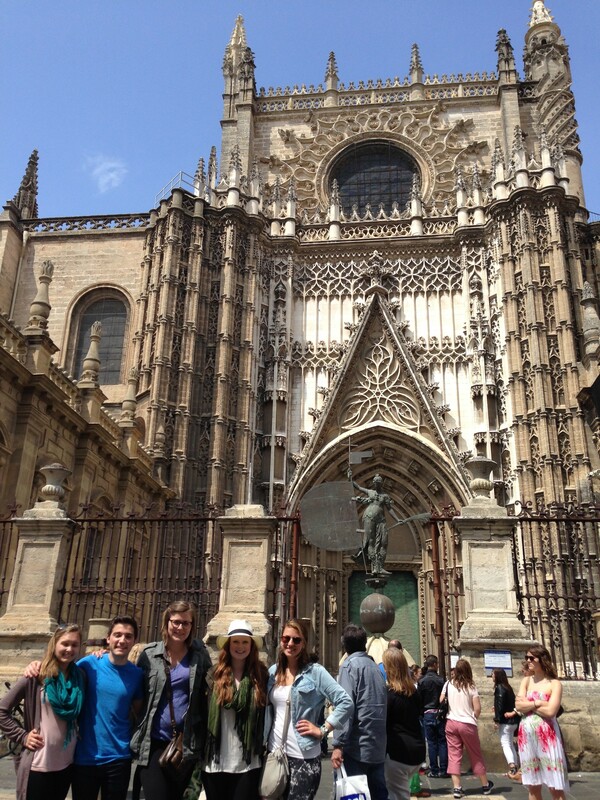 We walked to the Catedral de Santa Maria which is an absolutely gorgeous Cathedral in the middle of the city. There were tourists everywhere because of the Easter holiday. 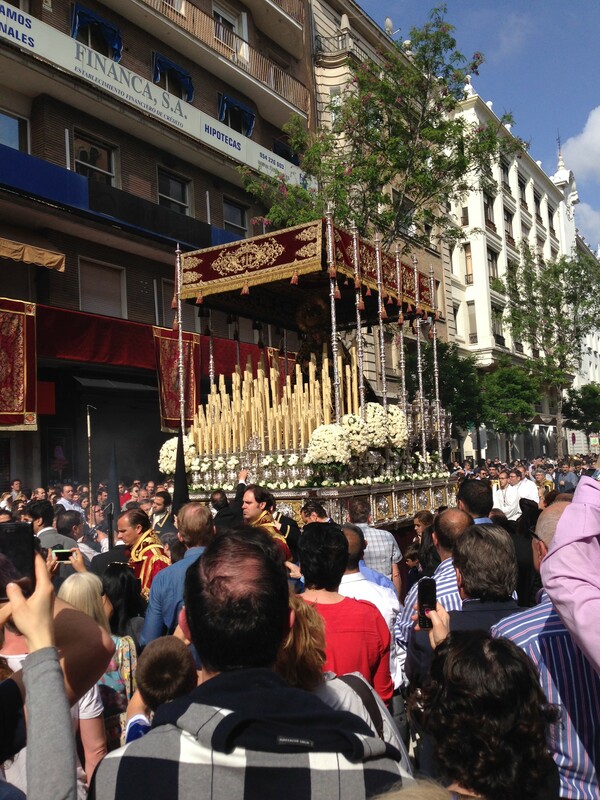 Throughout the streets of Sevilla we watched the Semana Santa Processions, the processions are massive parades put on by different churches in the city to celebrate the rising of Jesus. Even though I myself am not a religious person, I thought the dedication of the people to their processions was inspiring. After spending a few hours walking through the processions we had to make our way to the bus station and travel to Granada later that night. We got in late to Granada and after taking a taxi to our Hostel it felt amazing to sleep. 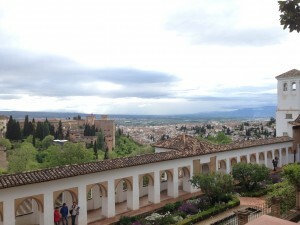 The next morning we decided to take a walking tour of Granada, and despite the rain I fell in love with the city. 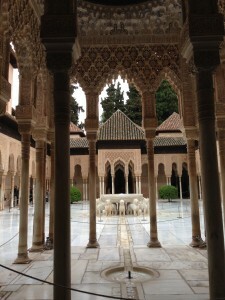 Our tour guide told us about the history of Isabelle and Ferdinand at the Alhambra during the Spanish war. The war unified the country and it was inspiring to be learning about the history of such a famous place. 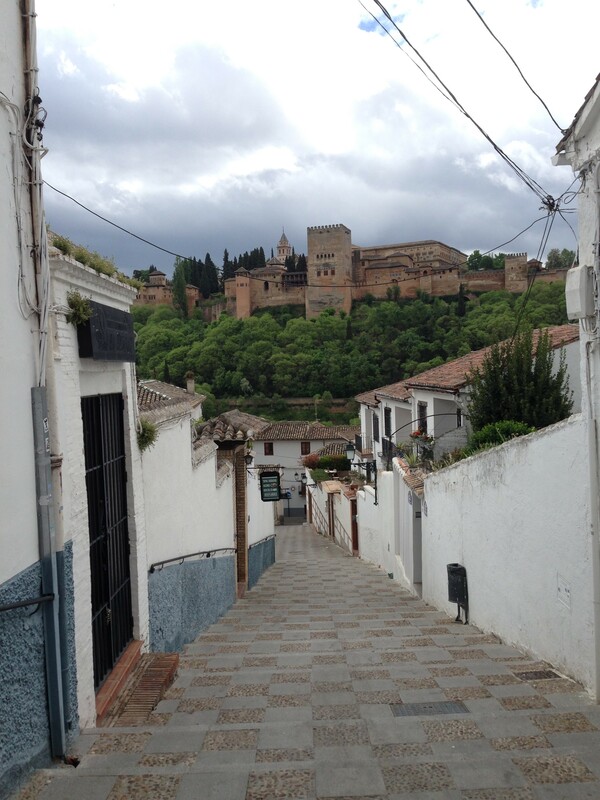 Granada itself is a town based around a college with around 80,000 students, not including all of the international students. 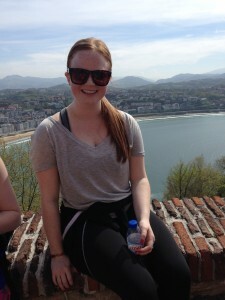 It is a massive city devoted to the students, which was great for us because everything was cheap and easily accessible. 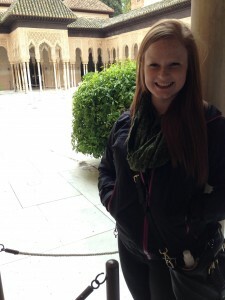 My number one priority for the visit was to see the Alhambra, Isabelle’s famous Islamic style castle from the 15th century. Tickets have been sold out for months and the only way to get your hands on one is to get in a line at 6AM to purchase one of the 500 daily tickets. We got in line at 6AM, stood in the rain for two hours, and successfully purchased tickets! That afternoon we got to visit the Alhambra, and it was well worth the wait. My childhood dreams of being a princess in a castle came true. 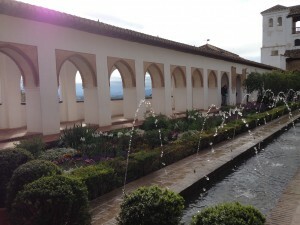 The views of Granada from the Palace were the best in the city, and the designs inside of the palace were even better! 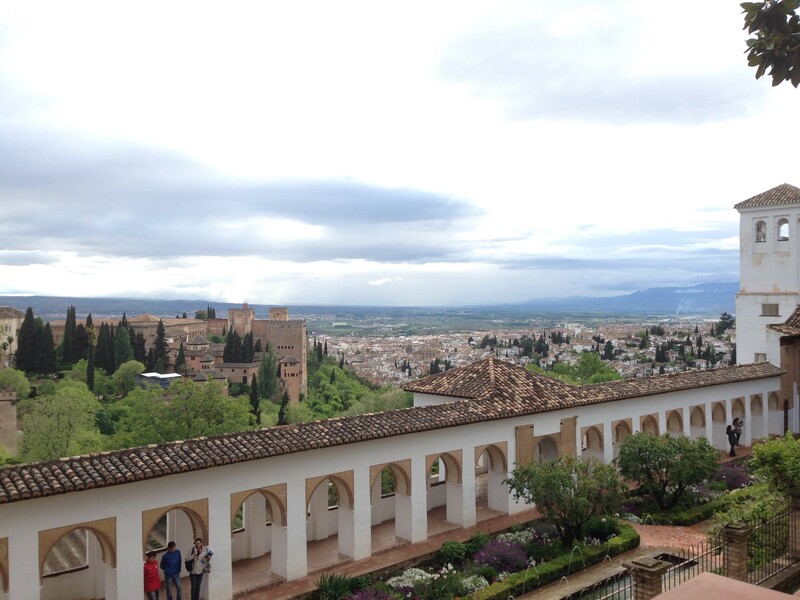 I would have to say that Granada is my favorite city I have visited so far on this trip. 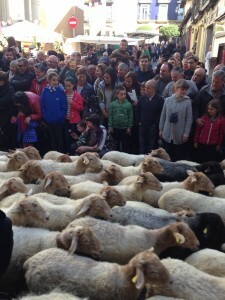 Upon return to San Sebastian after Semana Santa about half of us in the program went to Ordizia, a small Basque town, to experience their weekly market and annual sheep festival. This was the first time I have heard people using the Basque language. The language has no similarity to Spanish which meant none of us could communicate with the locals, our professor helped us a lot. We got to experience their annual sheep parade, or as we liked to call it “The running of the Sheep” which is wherethe Ordizia locals line the streets of the city and parade herds of sheep to display to the town. Sheep are a big part of Basque culture because they have been used for food, heat, and clothing since the beginning of the Basque history. We were the only foreigners in town during the festival, and even were interviewed by a local television crew for our opinion of the festivities. 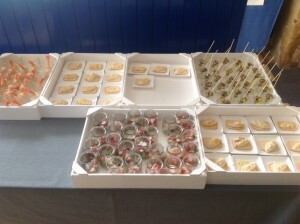 It was a great experience to see the Basque people interact with each other and experience a festival that has been a tradition for many centuries. Now I am back in San Sebastian and midterms are quickly approaching. I have two essays and a presentation due at the beginning of next week, time to get started! Now that school work is becoming more time consuming this trip is starting to feel more like school than just a vacation. I occasionally feel homesick when I am up late doing homework or when it starts raining, but then I remember how lucky I am to have this experience to live Spain. It really is amazing! 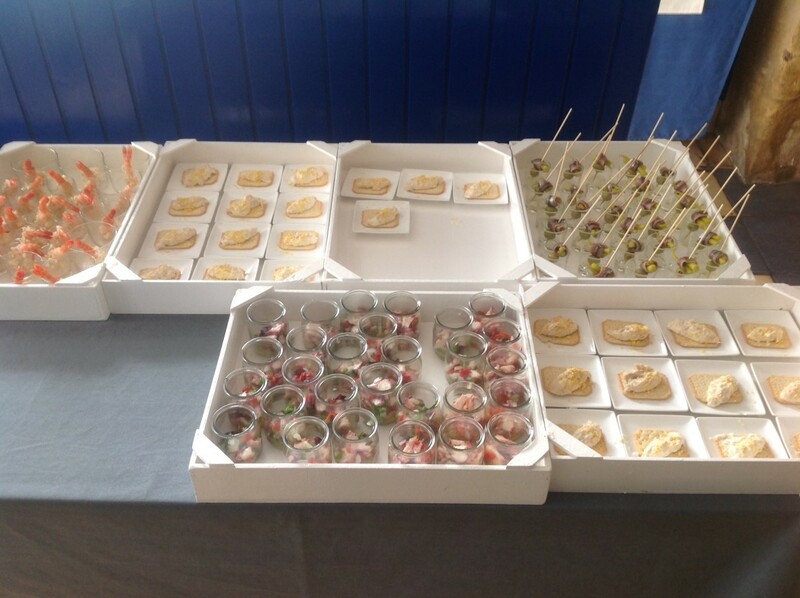 Throughout the month of May we will be going on various different excursions to Basque towns with our program. I will make sure to keep you updated on my travels. 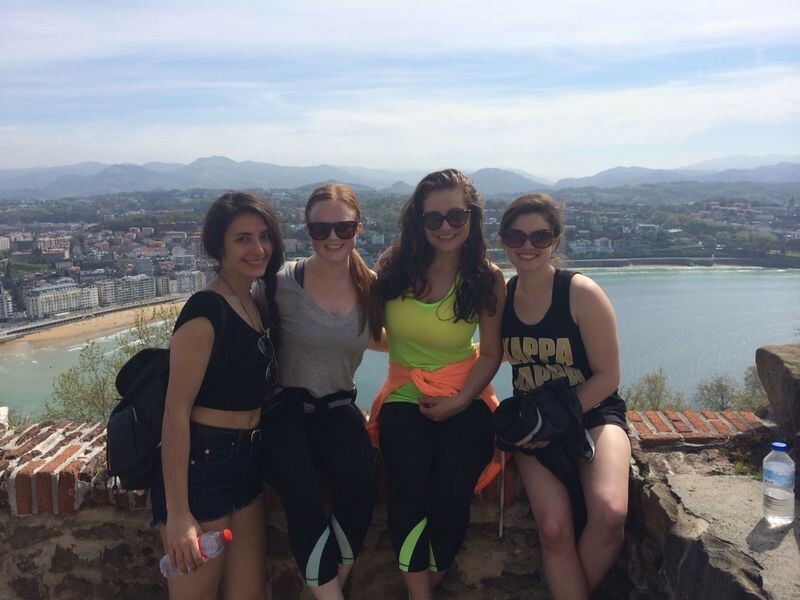 Week 3 in San Sebastian: Lisbon, Madrid, and more! The saying time flies when you’re having fun could not be any truer. 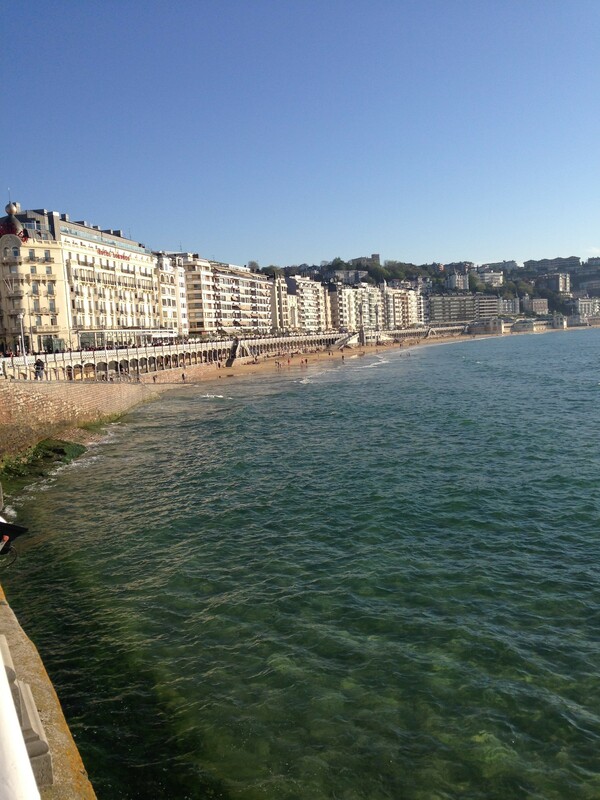 San Sebastian really feels like home to me now. I have settled into the dorms, unpacked, and really have a basic feel for the city. Hard to believe this is my third week here. The weather has been on our side so far, only one day of rain which the locals say is very rare! Usually Spring is the rainy season, keeping my fingers crossed that the rain will stay away. Although I have been in classes for 3 weeks now, it still seems like I am traveling on one big vacation. Our homework mostly consists of reading many articles, books, and essays related to Basque culture and nationalism. The coursework has all been very interesting so far, I had no idea there was so much history behind these North Spain territories. Spanish class has been the most difficult for me, but being around the language constantly means I have been learning very quickly. 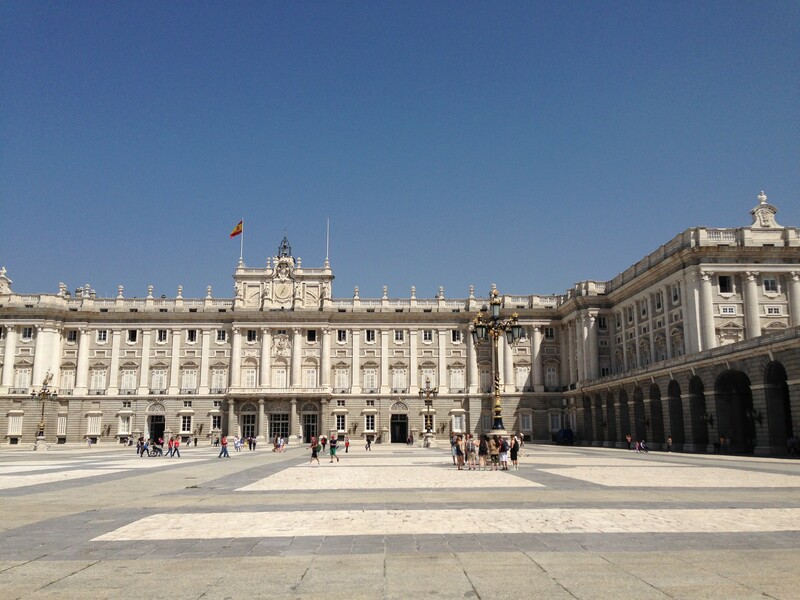 It is important for me to make sure I travel and visit other places in Europe while I am here. 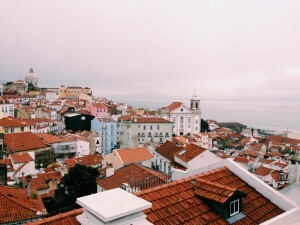 Last week a large group of us from the UW program traveled to Lisbon, Portugal. I have only great things to say about Lisbon. It was raining and overcast while we were there, but being from Seattle this was not a problem. 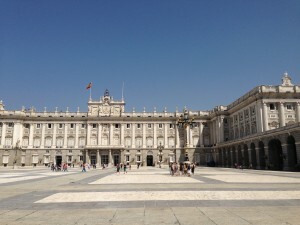 The buildings, monuments, castles, and cathedrals in the city are breathtaking. The buildings are all white stone with red clay roofs and long winding alley ways with shops hidden among them. Most of the people in Portugal could speak English which was great because none of us knew any Portuguese. The locals were so welcoming and always helped us when we looked lost, or were planning our day trips. I highly recommend visiting Lisbon if you have the chance, it is one of the most beautiful places I have ever seen! This upcoming week I will be traveling to Sevilla and Granada for Semana Santa (Easter Break). 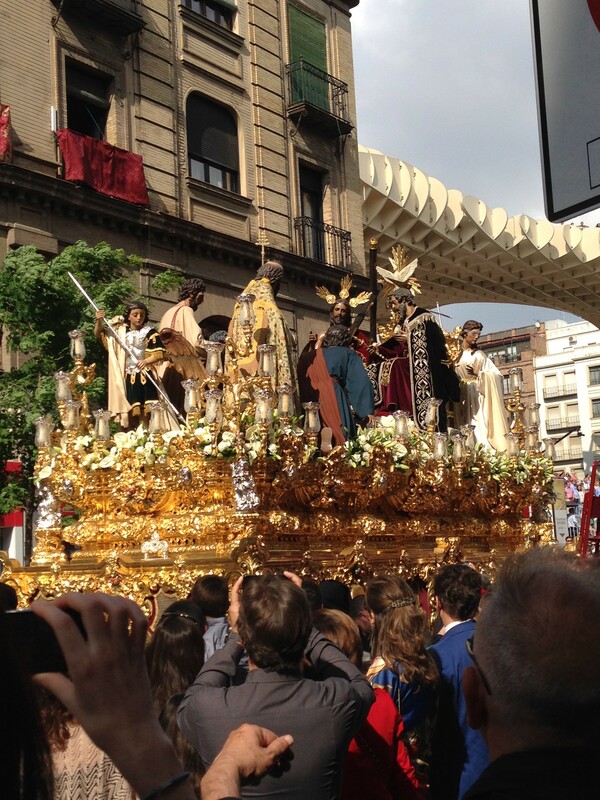 Word on the street is that Sevilla has some of the best Easter Festivals in the entire world! 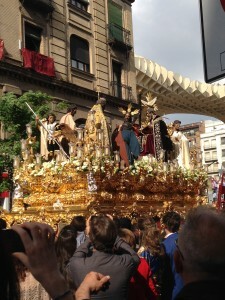 Look out for an update of my Semana Santa coming soon.